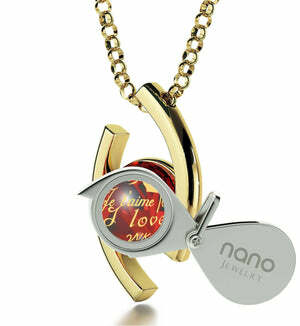 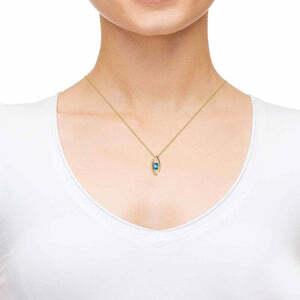 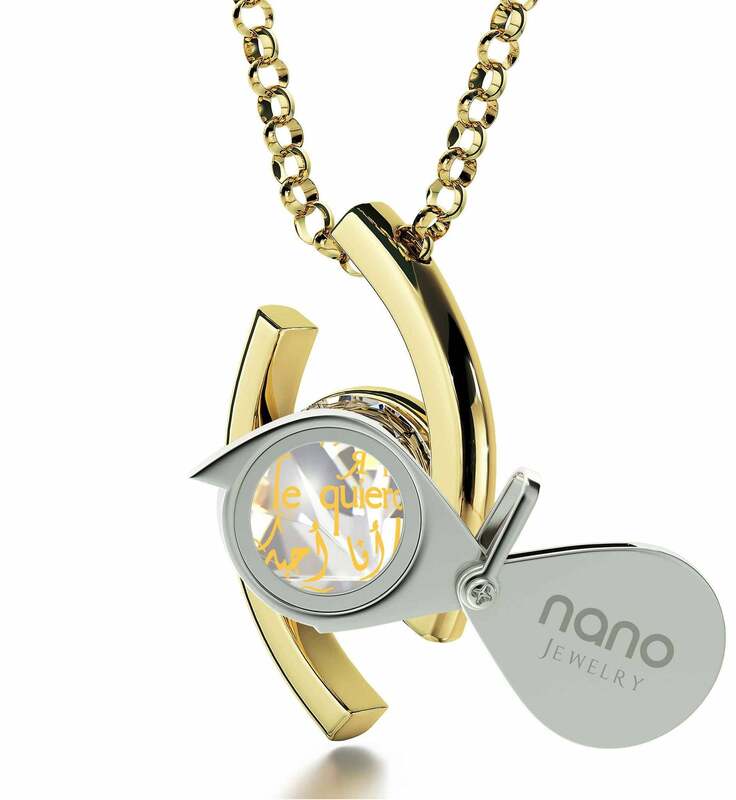 Birthday Present Ideas for Her, Gift One-of-a-kind Nano Jewelry Now! Is your soulmate’s most important and most personal day of the year right around the corner and you have no clue about what to surprise her with? Discovering the right birthday present idea for her isn’t that hard when you’ve put in a bit of effort into your search with boundless love to guide you, while we’ve got the ideal womens gift which is sure to surpass her expectations! 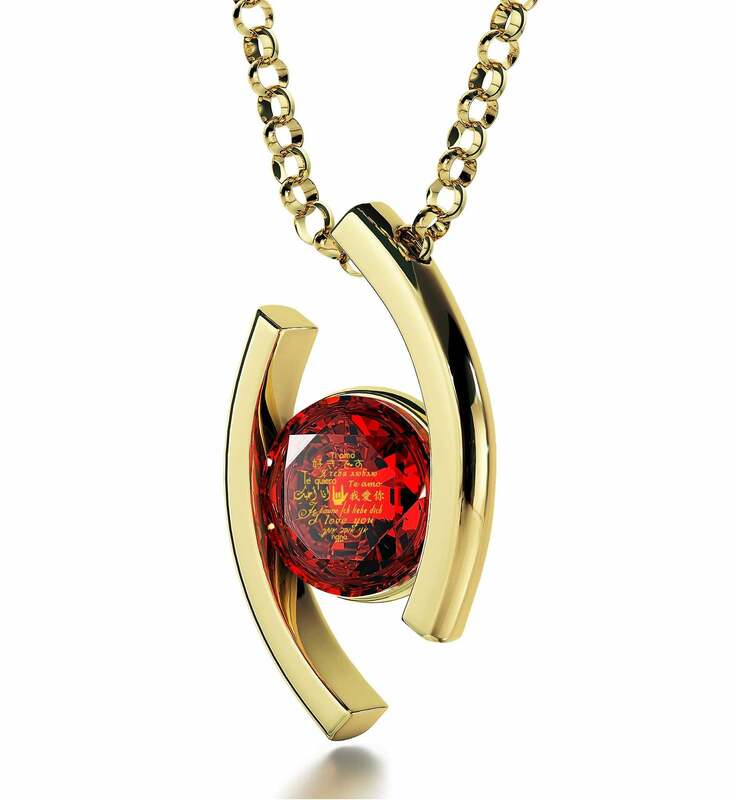 Made with her impeccable taste and the strength of your emotions in mind, this modern-looking, beautiful necklace pleases the wearer and admirers alike with its lustrous golden sheen. 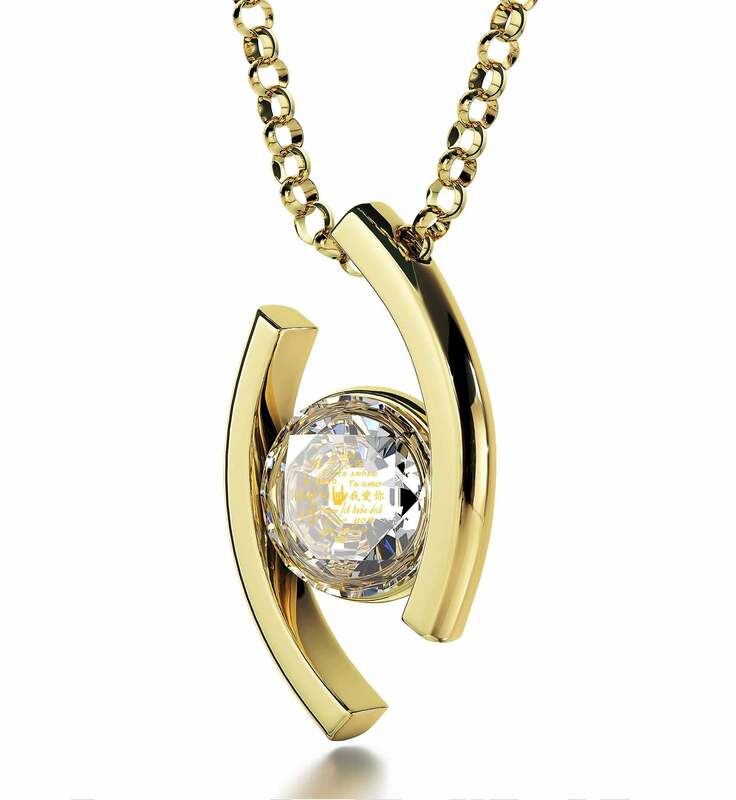 Anyone who spares it a glance will most likely be intrigued by its shape, but it is the intricate inscription adorning a brilliant Swarovski crystal at its heart that will make them stop and stare. Made with 24k pure gold and created to last forever, the inscription speaks of your love for her in 12 wonderful languages. Its level of detail defies creation by anyone other than Nano Jewelry. 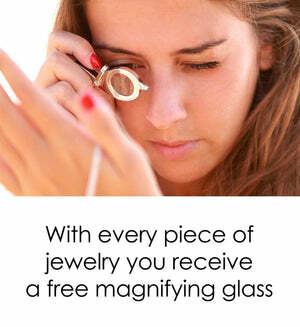 That’s right – on top of being breathtaking, this is also without question a unique romantic birthday gift idea for her unlike anything she or any of her friends have seen before. 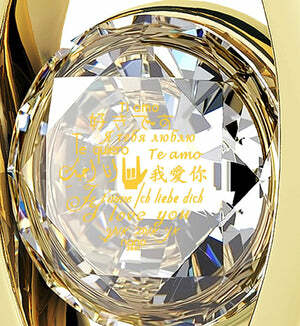 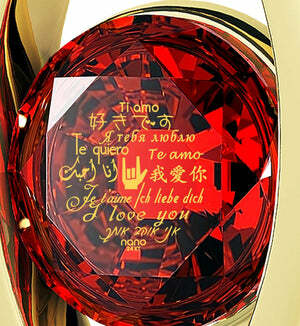 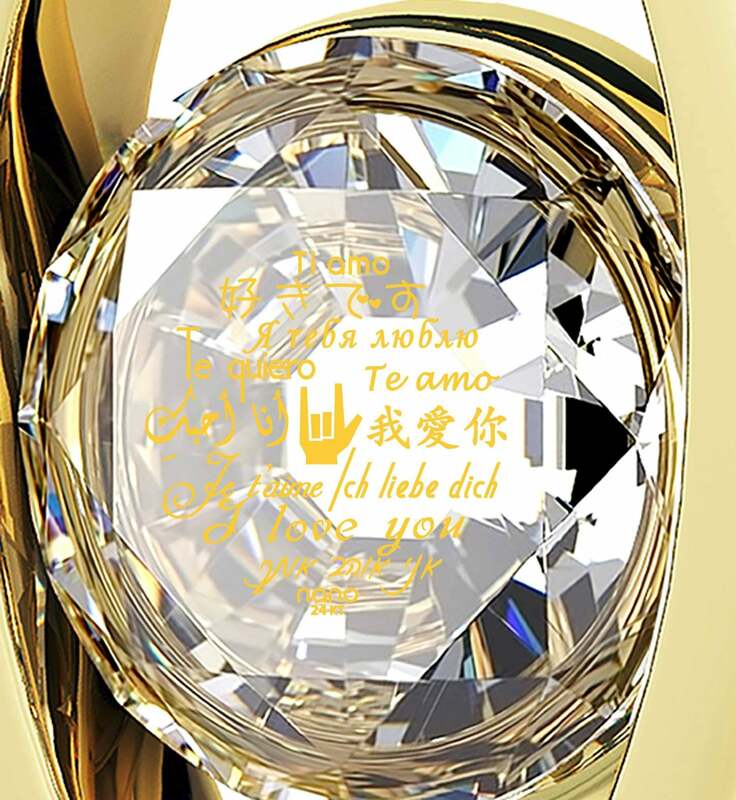 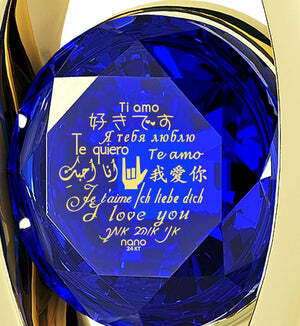 The power of love in different languages will be hers to command with the help of a custom-made magnifying glass that accompanies the necklace inside a well-made box almost as pretty as the necklace inside. With a womens birthday present like this, all it takes is some fine wine and good company to make this year’s the birthday celebration she’s been dreaming of.